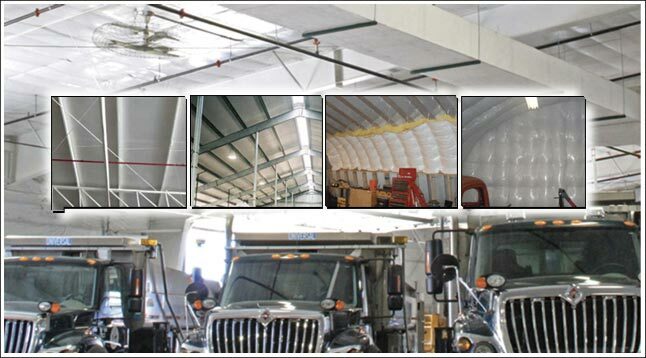 Metal Building Kings® has several types of and brands of insulation to line the walls and ceiling of your steel building to maintain the perfect climate and save energy. 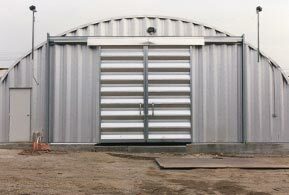 Metal buildings often need insulation especially in tropical climates and very cold northern regions to maintain a comfortable climate inside. In addition, it provides a protective layer on all surfaces that prevents condensation. 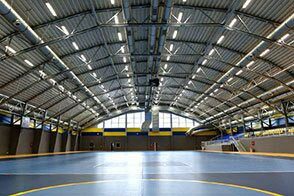 When warm air inside the metal structure contacts the cold roof or wall panels water vapor forms. Although the building is guaranteed for 40 years eventually after that rust may form if your building is not insulated. You must protect the integrity of the garage kit so that rust, mold or mildew doesn’t collect on the building components. 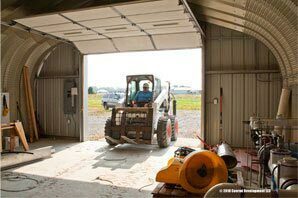 The most important surface is the steel roof if you are considering not insulating the entire building inducing the overhead doors or sliding doors. Also consider the "R" value which is the insulation’s ability to counteract condensation. 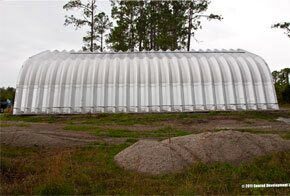 The types of insulation for arch buildings are Rolled Batting Fiberglass Insulation and Spray Foam. The most economical for the price is the rolled insulation which most residential home have. The most effective is insulated panels with the latest in technological advances. 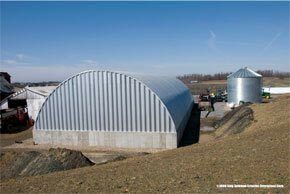 Reflective insulation increases comfort in your metal steel building kit by reducing radiant heat gain. 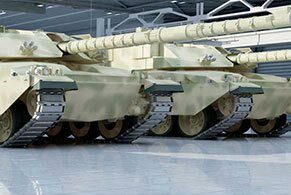 The barriers consist of a highly reflective material which reflects radiant heat and does not absorb it. Radiant energy causes up to 93% of heat transfer which is why you need to eliminate it. Reflective Insulation has a quarter inch encapsulated fiberglass core that is bonded to two aluminum exterior layers. 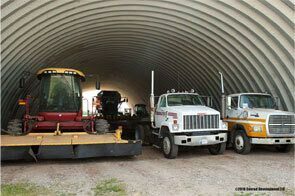 Roll insulation is Certified Fiber Glass Metal Building insulation manufactured to give it the integrity it needs to recover to full thickness after shipping and installing. 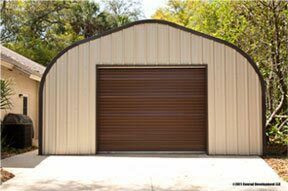 NIA 404 Certification is a post laminate certification for flexible fiberglass used in metal buildings assuring the R rating is 100% true Roll insulation has an “R” Value of 8 - 30 which is among the highest on the market but you will need a thickness of 9.5”. 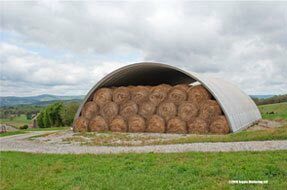 Unlike insulated panels you will need to have a blanket and pin system to hold the roll insulation in place which is attached to the bolts of the steel arched building panels. Arch building insulation pins attach to the existing interior bolts that were used in putting together your metal garage kit. The pins pierce through the insulation and is secure by a plastic washer on the outside. Open cell and closed cell foam is an effective way to insulate your building. Closed cell foam is the best because it has a higher “R” rating. Open cell is less expensive but you need ore to achieve the same protection as closed cell insulation. Spray foam is easy to apply but does not have an effective radiant barrier. Spray foam can cost about $1.00 to $2.00 a square foot. 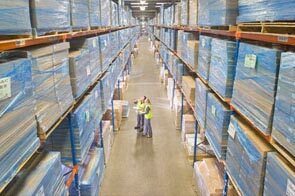 Insulated Polystyrene or Polyisocyanurate panels are by far the most effective option but also a little more expensive. It lasts much longer than any other type of insulation and is much more effective. On the coldest days your walls will be room temperature and when it is over 100 degrees outside the walls and roof will be cool to touch. 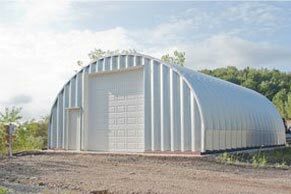 When you order your steel building kit the insulated panels are designed with the building. An 8 foot panel can cost about $20. 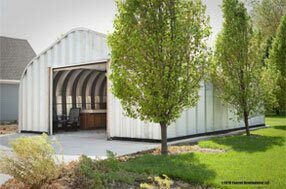 Contact Metal Building Kings® about the best insulation options to fit your budget, practical use, and region where you will be erecting your steel garage kit. If you are using our steel building price calculator make sure you include the insulation option.